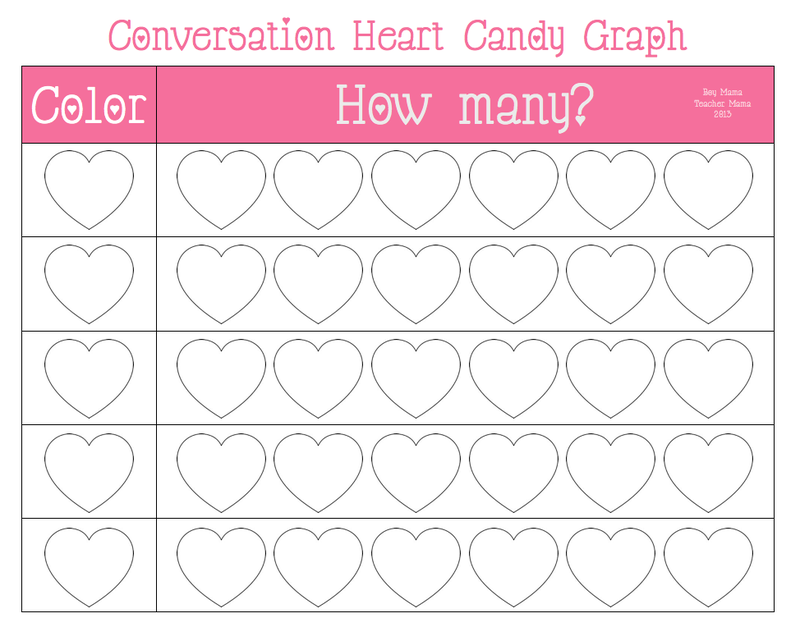 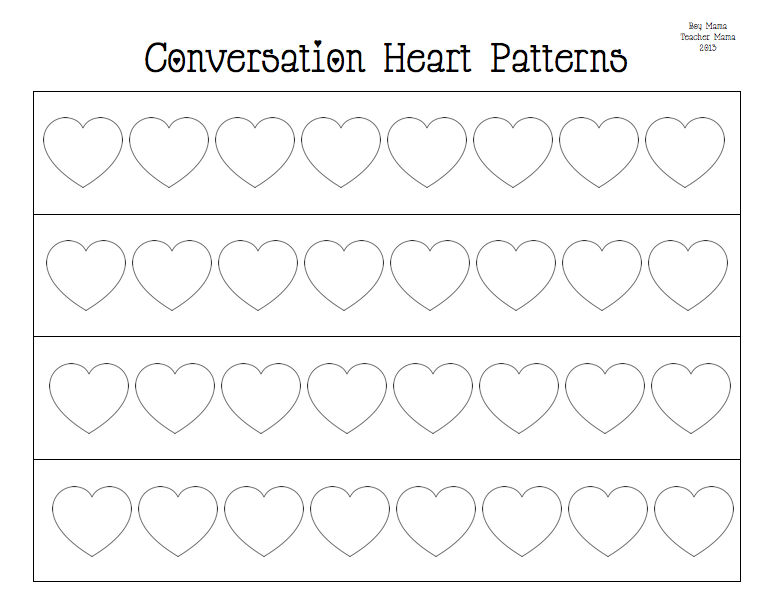 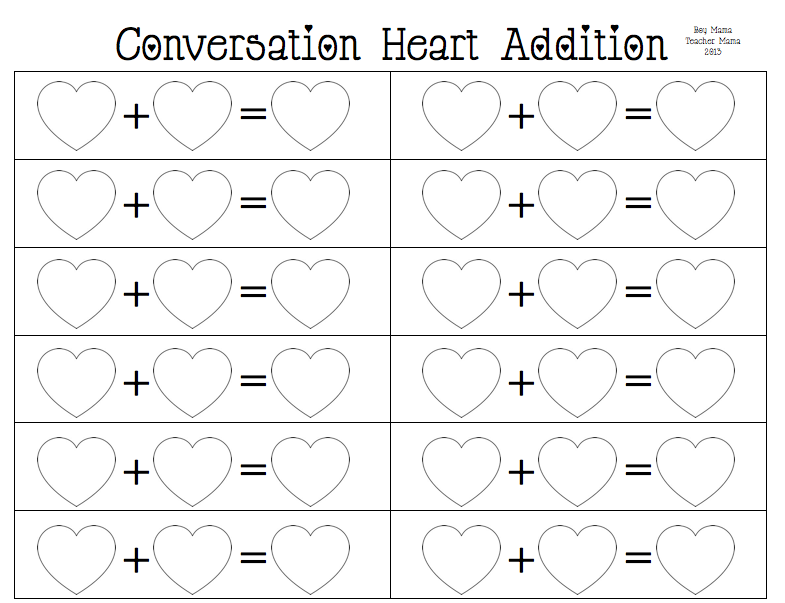 I had way too much fun creating these Conversation Hearts math activities! 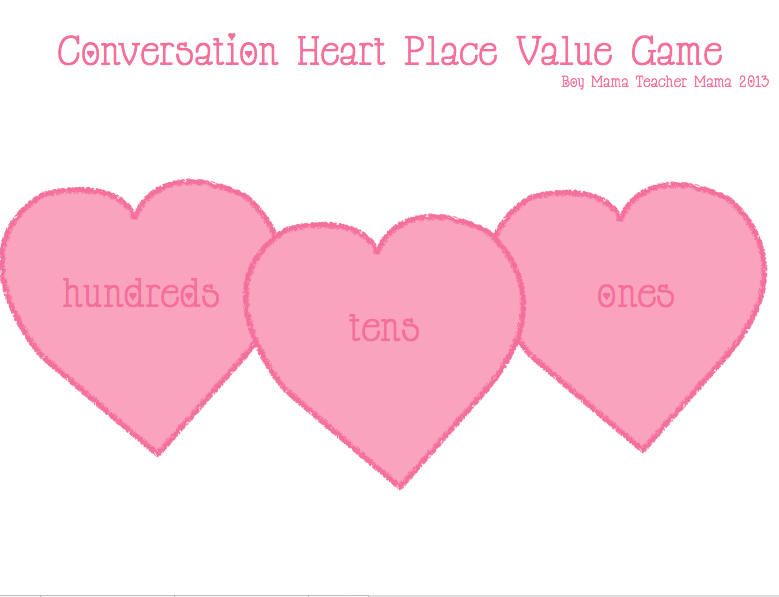 I have included 6 different games for varying ages. 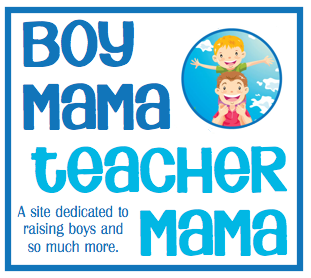 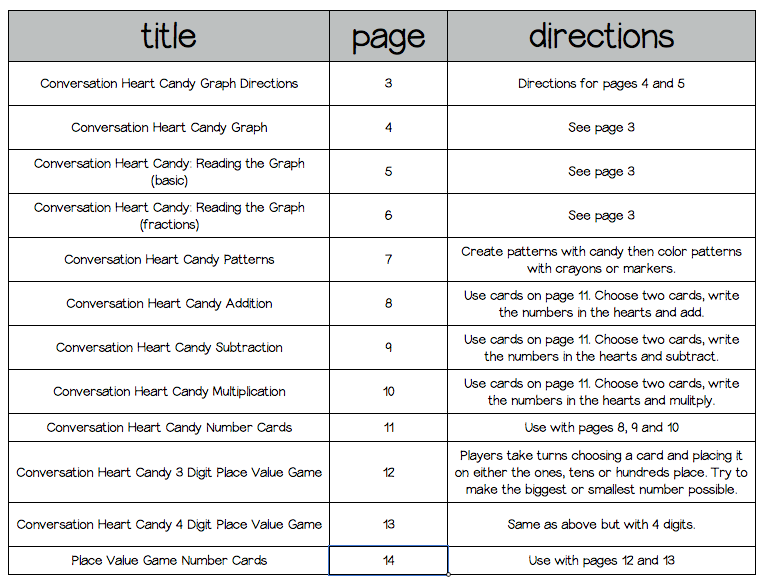 If you are interested in seeing the table of contents, I have shared it at the end of this post. 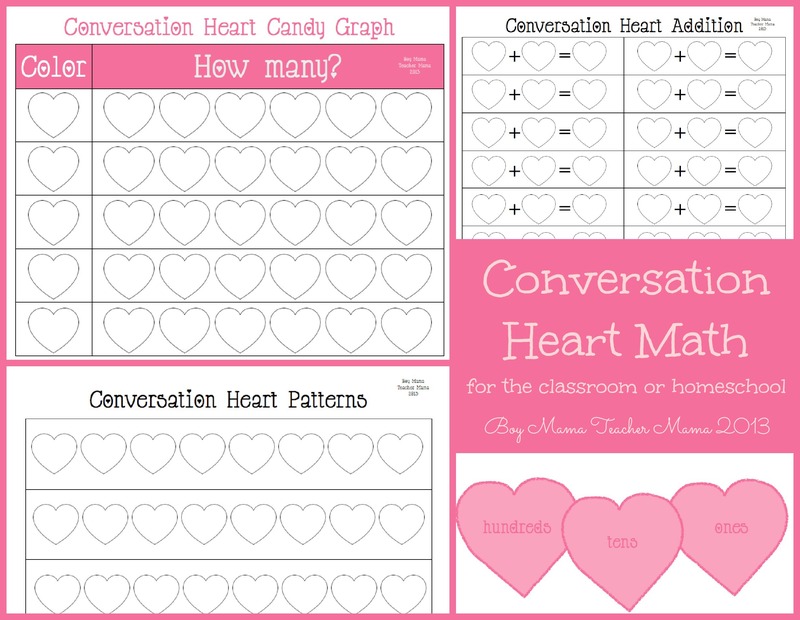 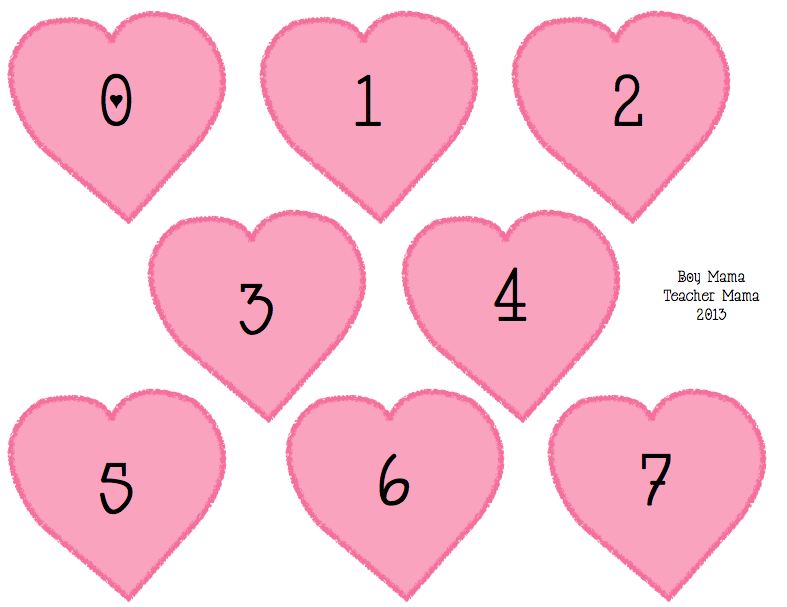 Here are a few of the Conversation Hearts math games I included.